Fantasie’s popular and perfectly fitting Jacqueline collection, has embraced Parisian lace sophistication for AW16. Jacqueline has been one of Fantasie’s most popular selling collections for a number of seasons and for AW16 it has been given a new twist and lace addition. 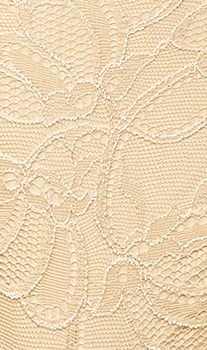 Famous for its fit, Jacqueline Lace has been carefully crafted around the classic Jacqueline shape enhancing properties. 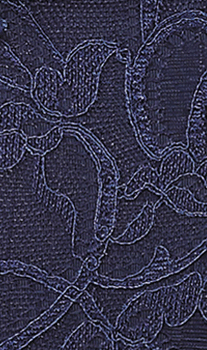 Jacqueline Lace has been specifically created in soft feminine patterns of Swiss two toned floral embroidery, teamed with deluxe Italian fabric for a truly luxurious feel. For Autumn Winter 16 this new range has been released in shades of Navy and Soft Beige and has been exclusively designed in an all over corded French lace, for a timeless sophisticated collection. Available in an underwired cup bra with side support (D-H) with full French lace front for modesty and support in briefs (XS-XXL) and Brazilian thongs (XS-XL), fully lined in French lace to ensure modesty and comfort. Jacqueline Lace uses wide wired bras to ensure comfort and support, and has a three piece cup for great uplift and forward projection. The seams in the inner cups have been bagged out to creating smooth silhouettes, finished with toe back to give central pulling throughout the strap to prevent strap slippage. Charlotte Austin, Head of Design for Fantasie lingerie and swimwear said: “Jacqueline has become famous for its fit and support, a great everyday bra and lingerie essential, so for AW16 we wanted to give it an extra feminine touch and more elegant feel. Lace detailing is so on trend at the moment, and has been all over the catwalks! We think all Fantasie Jacqueline fans will love Jacqueline Lace, and it may entice those that have not tried the bra before but like a lace style! Exude style and sophistication this season with Fantasie’s other lacy lingerie collections. The Grace and Zoe styles return to showcase a striking array of intricate embroidery in luxurious everyday tones, while Marianna in opulent emerald is wrapped in irresistible lace and delicate trims.